If you ever wanted to play hide and go seek then the Banff Springs Hotel is the place to do it. You just might never be found. We weren’t trying to get lost last weekend but the labyrinth of corridors, nooks and crannies in this stately old hotel means that the odds are against being discovered. Just finding our room was an adventure. The Banff Springs Hotel has a longer history than most in Canada. It was built originally for $250,000 by the Canadian Pacific Railway and opened its doors in 1888. Several modifications and additions occurred over the course of the next few decades but in 1926 it burnt down. The present day hotel was built in 1928 and styled after a Scottish baronial castle. Its imposing bulk is easily seen miles away from the Trans Canada Highway though it’s not until you get close that its real majesty is on display. The spectacular setting of the hotel close to natural hot springs, in an area of incredible beauty is the big draw. The hotel is only a 15 minute walk away from the town of Banff though there’s enough to do around the property to keep you there for days. In summer golfers come to play a 27 hole course. 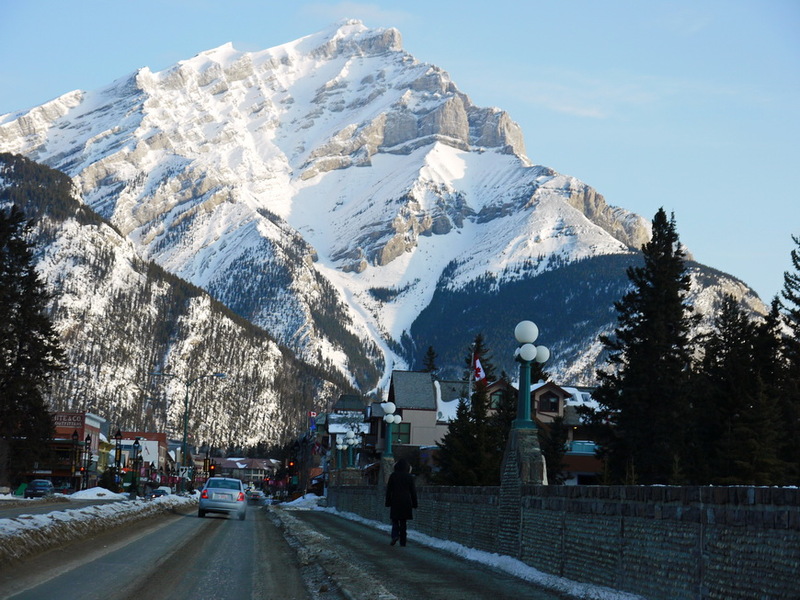 In winter you can choose from three nearby ski areas – Sunshine, Mount Norquay and Lake Louise. Year round the Willow Stream spa beckons. One male friend made the comment that when the skiing was too cold one year, -30°C temperatures, he opted for a spa experience to kill time one day. He was completely won over and in fact went again the next day. Turn right at the first wine barrel and then right again at the next wine barrel. Go up the stairs and then down the stairs, follow the corridor past the Castello Ristorante, until you hit a bar – which one I can’t remember. Turn right and take the elevator down a floor. (I’m really confused now because our room number is 1637 yet we’re only two floors above ground and there isn’t a 15th floor???) Follow the signs to your room. That doesn’t sound too hard but it’s probably a solid six minute walk from the front desk – going at a good clip. There are all manner of rooms at the Banff Springs Hotel – in fact 778 of them. 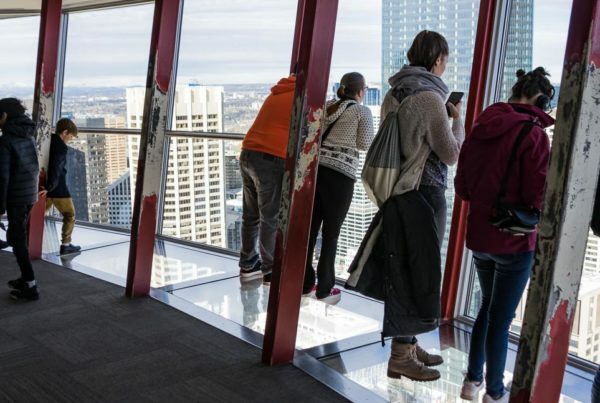 Pick from small standard rooms to more upscale ones with killer views of the Bow Valley, Spray Valley or Tunnel Mountain. We had a one bedroom suite for three of us – with two rooms and a bathroom. The extra space was nice and the only minor complaint I would have is that the tiled floors weren’t heated. Like I said – a minor complaint. You can certainly walk or drive into Banff for an evening meal but we were feeling lazy after a day of skiing – plus it was -25°C outside – and didn’t feel like bundling up again. There are plenty of onsite restaurants to choose from – 11 in fact – covering all the angles from casual buffet style to fine dining. We opted to watch the world go by in the Rundle Lounge with a drink in hand and surprisingly delicious and reasonably priced food. We did pass on breakfast the next day at $25 a pop and instead headed into Banff for that. The Banff Springs Hotel oozes old world charm. I usually like smaller more intimate places but it was a treat to spend even one night at this Rocky Mountain classic. I just wish I’d had time for the spa.